Woodcraft Design and Build will build your dream living space, taking it from concept to completion. We are a family owned and operated Michigan remodeling business. We’ve been serving the residential building and home remodeling needs of southwest Michigan for more than 30 years. 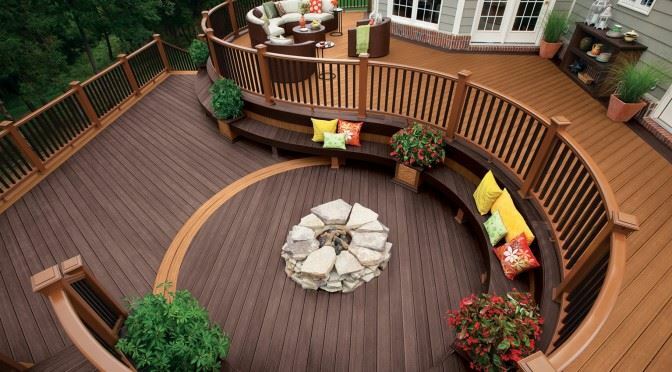 Let us transform your home and outdoor spaces to make your home a beautiful all-season retreat! From bathroom and kitchen remodeling, to complete outdoor living spaces, Woodcraft Design and Build will see you through all the steps of a home remodel. Our competent and professional crews are trained to deliver the best of quality and we will always be avaliable to answer your questions, just give us a call at 734-837-4200! It is extremely important to us that we treat your property as if it were our own. We pride ourselves in leaving our customer’s homes and property in a clean and safe condition. You will immediately know you can trust our Michigan remodeling services once you start talking with us. Woodcraft Build and Design is a TrexPro® Platinum Contractor. TrexPro® Platinum is the highest level of recognition available for an independent contractor. TrexPro Platinum contractors are the leading TrexPros in their markets, with demonstrated ability and expertise to design and build outdoor living projects with Trex, ranging from the simple to the most complex. Our staff have been trained on the proper installation of Trex products and our approach to business emulates the quality and professionalism of the Trex brand.